you may look for parts on Powair6 , JKArmy, and Rainbow8 webpages. i am from PANAMA city, PANAMA, (Latina America, Where the Panama Canal is, just in case) is a very small country with less tan 5 Million people. anyway the point is that i get the parts either from Europe or Asia, shipped to United States to a P.O Box of a Freight Company that delivers to my country, you may need just to look, there is always an option, pretty sure over there too, and even easier i believe! Getting Ready for DMR build on MTR16, just ordered the SixG Nub from Dave, also ordered the ORGA LEX05 410mm barrel, but i have a question... what Rubber should i go with? i have read and i think the Modify Tan is the go, i just want to confirm if is the best option what you guys think? will be posting photos of the Vanilla, and the advance of the build including externals!! sound interesting, what is the lenght? bore? price? Hello guys! Have you heard about the Dytac or Tokyo Arms Inner Barrels? Are they any good? Im looking for a longer inner barrel for DMR build on an MTR16, but those are the only 2 brands on stock from where i have looked into Any suggestions? 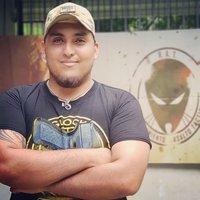 Hello Guys, Brand new on the forum, reporting in from Panama City, Panama and im enjoying the content here and i need some help to see if you guys can help me just bought a Tokyo Marui MTR16 and im looking forward to build it as a good DMR, as you may know even tho it comes with the 16 inch outer barrel, the inner barrel is just 250mm lenght im looking for 6.01 diameter and 450 or at least 400 mm inner barrel, i was looking for an ORGA who seems the best to work with the MWS set but is getting difficult to find do you guys know any online store that have some of them on stock and ships to USA? thanks in advance for the reply, and i will be posting pics of my MTR very soon! !